Do We Care For Those Who Are Concerned About Us? June 30, 2014 7:00 pm / 2 Comments on Do We Care For Those Who Are Concerned About Us? (Ephesians 6:21-22) But that ye also may know my affairs, and how I do, Tychicus, a beloved brother and faithful minister in the Lord, shall make known to you all things: Whom I have sent unto you for the same purpose, that ye might know our affairs, and that he might comfort your hearts. Because the Ephesian believers were concerned about his welfare, in the imprisoned Paul’s absence, Tychicus would go to them. He would be delivering this letter to them as well as informing them of Paul’s current condition. In doing so, both Paul and the Ephesians were treating each other with the love, respect and appreciation they deserved. Are we concerned about the welfare of those who care for us? Or do we take them for granted and do not appreciate them as we should? 1. a beloved brother – Tychicus was loved by Paul with a self-sacrificial love. Paul looked upon him as a member of his family… a spiritual brother in Christ. What a wonderful testimony to be had by anyone who is called by the name of “Christian”! 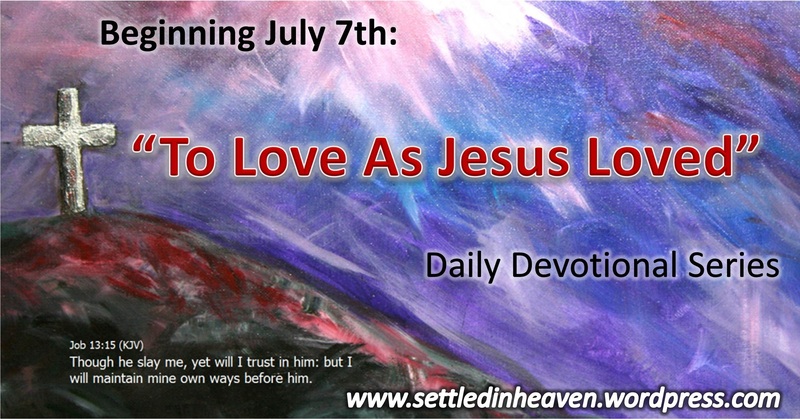 He was loved greatly loved by other servants of Christ (to the point of being considered a member of their family), he was known as a person who was reliable, and also as one who was ministering for Christ… what better testimony could we possess? Paul recognized their desire to know of his welfare and sent Tychicus to inform them. Although Paul could simply write of his current condition, he knew that it would be more easily understood if he sent a witness to confirm his words and answer any questions they might have. Paul’s motivation to inform them was not from a prideful selfishness, but he was doing it for their welfare that their loving concern for them might be eased. In this first part to Paul’s closing, we can see both the need to reciprocally hold concern for those who care about us and to make a loving effort to ease their concerns and keep them informed of our wellbeing. How often have we asked others to pray for us without keeping them informed of changes in our circumstances? How often do we not notice others’ concern for us, slight them and ignore their attempts to show concern? How often do we have opportunity to meet the needs of our spiritual brethren but pay no attention to their needs and “pass by on the other side”? May we all love, and return love that is shown to us, in our pursuit to become more like Christ, our wonderfully kind, forgiving and loving Savior! Are We Following Christ Or Satanic Apostles? June 29, 2014 10:00 am / 5 Comments on Are We Following Christ Or Satanic Apostles? 2Co 11:13-14 KJV – For such are false apostles, deceitful workers, transforming themselves into the apostles of Christ. And no marvel; for Satan himself is transformed into an angel of light. Are We Desiring To Be Effective Witnesses For Christ? June 27, 2014 7:00 pm / 2 Comments on Are We Desiring To Be Effective Witnesses For Christ? (Ephesians 6:19-20) And for me, that utterance may be given unto me, that I may open my mouth boldly, to make known the mystery of the gospel, For which I am an ambassador in bonds: that therein I may speak boldly, as I ought to speak. Just as, our prayer and ministry to others is a very important aspect of our Christian service, so too others ministering on our behalf is of great importance. a. the message of truth being presented with a confident attitude, knowing it is the truth from God’s Word and that it will accomplish that which the Lord pleases. b. the message of truth being presented with a courageous attitude, willing to share it with those who oppose the Word and publically teach error. The “bottom line” to Paul’s request is that the gospel be proclaimed to those who are around us at every opportunity that is opened to us. It is only through receipt of the utterance and boldness that this can take place. Why does Paul describe the message of the gospel as a mystery? The word translated “mystery” does not mean “that which is unknown”. In actuality it means “that which is unknown to the uninitiated”. In other words, the gospel is a mystery to those to whom it has not been revealed. Paul, by using this term, is saying that his desire was to share the gospel with the lost, especially to the lost who have never heard the gospel message. This is Paul’s ministry in a nut-shell. He took the gospel of Christ to a Gentile world that, in many cases, had never heard the gospel message before. It was this same ministry of this gospel message that had resulted in the imprisonment of Paul. Paul was willing to be in prison for the sake of the gospel being proclaimed. Another description of Paul’s ministry is found in the title “ambassador”. In other words, Paul is describing himself as “a senior representative” for Christ and the gospel message. Paul here, simply relates to us that due to the importance of his ministry (taking the gospel to those who had not received it) and his calling of God (a senior representative for the gospel), he greatly desired boldness to enable him to speak the truths of God as he should (in an understandable, loving way). May we all be greatly concerned about our personal ministry for Christ as was the Apostle Paul. May we all see the need to be graced of God with the proper words and attitudes to be Godly representatives of His gospel. And finally, may we be encouraged to share the gospel message in every opportunity that is opened to us. Understanding that the gospel, His enabling, and the opportunities that are opened to us are all divine acts of grace and love that He has bestowed upon us. Do We Pray For Ourselves… And Others ? June 26, 2014 7:00 pm / 1 Comment on Do We Pray For Ourselves… And Others ? In other words, we are being told to send away our wishes and desires towards God. We are to verbally take them to the Lord using “supplications” (requests or petitions). As we take our requests to the Lord, we are to be led by the Holy Spirit. Besides prayer, we are to also begin specifically looking for opportunities to help others in need. We are to be actively “watching” to recognize others in need. 1. we are to be always vigilant, never “falling asleep at the switch” as we seek ways to help others. 2. we are to lie awake at night, out of concern for other’s needs. 3. we are to lie awake at night, reflecting on our day and those we have met, making sure we have not missed the opportunity to help those who have come our way. This watching is to be done in association with “perseverance”, in other words with persistence and carefulness. Also, we are to watch with “supplication”, making a request to the Lord for guidance and the ability to recognize the opportunities open to us. The basic principle is this, once we have properly protected ourselves through the putting on of God’s armour, we are to then work to serve the Lord by meeting others needs. The Christian life is not a selfish one, solely concerned about taking care of our needs only. A Christian is to care about being well equipped for the service of Christ for their own benefit, as well as for the benefit of others. By being protected and strong spiritually the Christians is able to best serve Christ in serving the needs of others. “Thou therefore, my son, be strong in the grace that is in Christ Jesus.And the things that thou hast heard of me among many witnesses, the same commit thou to faithful men, who shall be able to teach others also. Thou therefore endure hardness, as a good soldier of Jesus Christ.No man that warreth entangleth himself with the affairs of [this] life; that he may please him who hath chosen him to be a soldier. The husbandman that laboureth must be first partaker of the fruits.Consider what I say; and the Lord give thee understanding in all things. Do We Have Our Sword In Our Minds At All Times? June 25, 2014 7:00 pm / 6 Comments on Do We Have Our Sword In Our Minds At All Times? 1. It is called the “Sword Of The Spirit, which is the Word of God” – Here we find that our piece of armour given to us is clearly defined for us as “the Word of God”. a. It is symbolized by a sword… due to its effectiveness against our spiritual foes. A sword is a very sharp piece of equipment that can be very effective when used properly. b. the temptation of Christ in the wilderness, that resulted in the public declaration of the sinlessness of Christ (Luke 4:1-13). …And the devil said unto him, If thou be the Son of God, command this stone that it be made bread.And Jesus answered him, saying, It is written, That man shall not live by bread alone, but by every word of God. …And the devil said unto him, All this power will I give thee, and the glory of them: for that is delivered unto me; and to whomsoever I will I give it.If thou therefore wilt worship me, all shall be thine. And Jesus answered and said unto him, Get thee behind me, Satan: for it is written, Thou shalt worship the Lord thy God, and him only shalt thou serve. …And he brought him to Jerusalem, and set him on a pinnacle of the temple, and said unto him, If thou be the Son of God, cast thyself down from hence:For it is written, He shall give his angels charge over thee, to keep thee:And in [their] hands they shall bear thee up, lest at any time thou dash thy foot against a stone.And Jesus answering said unto him, It is said, Thou shalt not tempt the Lord thy God. In this text, the Lord clearly showed to us that His Word is able to attack Satan in the midst of any type of temptation, bringing the temptation to a halt and working his eventual departure. Hence, the Sword of the Spirit is represented to us as the key to effectively attacking Satan and gaining the spiritual victory in every area of our life. 3. It is the ONLY offensive weapon that is spoken of in our Ephesians text. All the other pieces of armour we have studied were defensive in nature, able to protect us against the attacks of the powers of darkness only. However, it is through the Sword of the Spirit, that we are able to not only defend against Satanic temptations, but to actually drive Satan away, which is shown in the temptation of Christ in the wilderness. Keep in mind, in the origin temptation (Adam and Eve in the wilderness), Satan is shown perverting the Word of God that had been received by Adam and Eve. In doing so, Satan was attempting to mislead and “beguile” (totally confuse) Eve (2 Cor 11:3), while taking away her only means of driving him away. May we always highly value the Word of God and make it the central part of our day to day walk with Christ (Provs 4:20-22). May we thank and praise Him for His Word and the many benefits that it brings into our lives (Psalms 119:11-16). Is Our Eternal Salvation Always On Our Mind? June 24, 2014 7:00 pm / 5 Comments on Is Our Eternal Salvation Always On Our Mind? 1. It is called the “Helmet Of Salvation” – What is “salvation”? Salvation, in its most basic definition, means “deliverance” or “defense”. Not only does “salvation” refer to our initial experience of deliverance from the penalty of sin (justification) and power of sin (progressive sanctification), but also it can refer to our FUTURE deliverance from the presence of sin (glorification). When Paul speaks of “the hope of salvation” he is clearly speaking of the final stage of our salvation experience which is the future glorification of our bodies and the complete deliverance from God’s eternal wrath and deliverance from a sinful fallen world. This is the salvation, yet to be received, that the Christian hopes for in this life (1 Pet 1:3-5, 1 Pet 1:13, 1 John 3:1-3). This is the “salvation”, I believe, Paul is speaking of in our Ephesians text. 2. This helmet protects our head – the head is a symbolic representation of the thought processes that we possess. It is our head (brain) that is the container of our knowledge, desires and will. Our knowledge of our coming glorification, along with our strong desires and appreciation for it, will motivate us to make the proper choices as we fight the spiritual battle place before us. It is the motivating force behind us as we “keep on keeping on” in the midst of very difficult trying times that we may face. It was the source of strength and endurance for those declared to be the most faithful of God’s servants we find in the Bible…. “These all died in faith, not having received the promises, but having seen them afar off, and were persuaded of [them], and embraced [them], and confessed that they were strangers and pilgrims on the earth. For they that say such things declare plainly that they seek a country.And truly, if they had been mindful of that [country] from whence they came out, they might have had opportunity to have returned. 3. It is a defensive piece of armour, and as such is an effective tool in thwarting the attacks of Satan. When we control our thought life (dwelling upon the many wonderful promises of God) and make choices based upon this great hope, we will find ourselves rejecting this sinful world’s offerings and temptations placed before us. We will confidently choose to remain faithful to Christ, knowing we will obtain far greater eternal riches in eternity. May we always hold the future promises of eternal blessings in the center of our minds. In doing so, may we allow them to motivate us to always choose the Lord’s will over the temporary riches of this world . “The Spirit itself beareth witness with our spirit, that we are the children of God:And if children, then heirs; heirs of God, and joint-heirs with Christ; if so be that we suffer with [him], that we may be also glorified together. How To Go To War Against Satan… Trust In Christ. June 23, 2014 7:00 pm / 6 Comments on How To Go To War Against Satan… Trust In Christ. 1. It is called the “Shield Of Faith” – What is “faith”? This idea is expressed Biblically with several different terms: belief, trust, assurance and fidelity. Put very simply faith describes reliance, conviction or trust. Biblically, faith is to be exercised in Christ in several aspects. Four of the main areas of faith in Christ for the spiritual warrior are…. a. We are to have faith in Christ as our Savior – relying upon Him to pay our sin debt and grant us deliverance from our sin through His work on the cross. b. We are to have faith in Christ as our Leader/Lord – willfully following His teachings and example without hesitation. c. We are to have faith in Christ as our Protector – trusting in Him to only allow what is beneficial into our lives, while keeping away from us all that is detrimental. d. We are to have faith in Christ as our Enabler – trusting Him to supply all that is necessary to serve Him in any ministry to which we are called. All of these aspects of faith in Him are necessary as we enter spiritual warfare for Him. a. we can find encouragement and peace knowing our sins have been paid for and forgiven through Christ. d. we can rely upon Him to supply our every need and enable us to fight “the good fight” and be victorious. 2. It covers all areas of the body – the shield was a door sized shield that allowed the warrior to hide his entire body behind it. This helps us to understand that our reliance upon the Lord should be exercised in EVERY area of our life. Every area is touched by sin, unable to serve the Lord, and rendered useless in this battle. Apart from the enabling grace of the Lord, we would be totally open to attack and destined for great defeat. Because of this inherent disability, we must be constantly trusting in Christ for every spiritual battle that we face. It is only through the eyes of faith and the enabling of Christ given to us through the Holy Spirit, that we can find strength, ability and peace as we war against Satan and the darkness of this world. 3. It is a defensive piece of spiritual armour – When we fight in this battle, we are to trust in Christ alone as our enabler and defender. We are not to trust in other men, for they will fail; nor are we to trust in ourselves for we are impotent and defenseless apart from Him. How is this shield to be used? It is designed to “quench all the fiery darts” that proceed from Satan and his minions. The idea of “quenching” involves extinguishing, or putting out a fire. “Fiery darts” back then were used as weapons of warfare to send flames into combustible areas of the opposing army. Satan does the same in our lives. He sees openings and vulnerabilities and aims directly at those areas of our lives that are the weakest and most susceptible to temptation. However, through Christ’s intervention in our lives, as we place our faith in Him, He will supply all the protection that we need. He does this by “putting out” the fiery darts that are being sent to harm and destroy us. This protection can only be had by placing our reliance upon Him to deliver us. “The sons of Reuben, and the Gadites, and half the tribe of Manasseh, of valiant men, men able to bear buckler and sword, and to shoot with bow, and skilful in war, [were] four and forty thousand seven hundred and threescore, that went out to the war.And they made war with the Hagarites, with Jetur, and Nephish, and Nodab. And they were helped against them, and the Hagarites were delivered into their hand, and all that [were] with them: for they cried to God in the battle, and he was intreated of them; because they put their trust in him.And they took away their cattle; of their camels fifty thousand, and of sheep two hundred and fifty thousand, and of asses two thousand, and of men an hundred thousand. May we always enter into spiritual battle placing our trust in Christ as our Savior, Lord, Protector and Enabler. It is just as Paul told the church at Corinth…. How Can We Reject God’s Word? June 22, 2014 8:00 am / 9 Comments on How Can We Reject God’s Word? Therefore we ought to give the more earnest heed to the things which we have heard, lest at any time we should let [them] slip. There is a principle that seems to be repeated throughout both the Old and New Testament Scriptures… it is the principle described as of “Supernatural Beginning and Natural Perpetuation”. This principle says that in many, if not all cases, a Godly feat of creation relies upon miraculous divine intervention for its existence and the uses a series of natural acts for its continuation. Here are a few examples of this principle…. If you notice, based upon the above chart, the Local Assembly follows in this same pattern. The Lord miraculously came to the earth and, while He was present, He founded the local church (Matthew 10). Also, through miraculous means, following His ascension, He empowered His assembly to do His work in Acts 2:, and then He accredited His assembly through the miraculous works of the Apostles and other members of His churches throughout its beginning years. However, also in alignment with His other acts of creation, His miraculous intervention stopped during New Testament times and from then forward the perpetuity of the local assembly is brought about through the fulfilling of the Great Commission by members of His assemblies. Once, again, this falls into perfect alignment with the concept that the age of the accrediting miracles came to an end during the later years of the Apostles’ existence on the earth (approx. 100 AD). We will finish this section of our study next time with a look at the prophecies given by God of the existence of false miracles workers in the last days. 2) And the earth was without form, and void; and darkness [was] upon the face of the deep. And the Spirit of God moved upon the face of the waters. 4) And God saw the light, that [it was] good: and God divided the light from the darkness. 7) And God made the firmament, and divided the waters which [were] under the firmament from the waters which [were] above the firmament: and it was so. 9) And God said, Let the waters under the heaven be gathered together unto one place, and let the dry [land] appear: and it was so. 10) And God called the dry [land] Earth; and the gathering together of the waters called he Seas: and God saw that [it was] good. 11) And God said, Let the earth bring forth grass, the herb yielding seed, [and] the fruit tree yielding fruit after his kind, whose seed [is] in itself, upon the earth: and it was so. 12) And the earth brought forth grass, [and] herb yielding seed after his kind, and the tree yielding fruit, whose seed [was] in itself, after his kind: and God saw that [it was] good. 16) And God made two great lights; the greater light to rule the day, and the lesser light to rule the night: [he made] the stars also. 18) And to rule over the day and over the night, and to divide the light from the darkness: and God saw that [it was] good. 20) And God said, Let the waters bring forth abundantly the moving creature that hath life, and fowl [that] may fly above the earth in the open firmament of heaven. 21) And God created great whales, and every living creature that moveth, which the waters brought forth abundantly, after their kind, and every winged fowl after his kind: and God saw that [it was] good. 25) And God made the beast of the earth after his kind, and cattle after their kind, and every thing that creepeth upon the earth after his kind: and God saw that [it was] good. 27) So God created man in his [own] image, in the image of God created he him; male and female created he them. 29) And God said, Behold, I have given you every herb bearing seed, which [is] upon the face of all the earth, and every tree, in the which [is] the fruit of a tree yielding seed; to you it shall be for meat. 30) And to every beast of the earth, and to every fowl of the air, and to every thing that creepeth upon the earth, wherein [there is] life, [I have given] every green herb for meat: and it was so. 31) And God saw every thing that he had made, and, behold, [it was] very good. And the evening and the morning were the sixth day. 5) And every plant of the field before it was in the earth, and every herb of the field before it grew: for the LORD God had not caused it to rain upon the earth, and [there was] not a man to till the ground. 7) And the LORD God formed man [of] the dust of the ground, and breathed into his nostrils the breath of life; and man became a living soul. 33) And in the cutting of stones, to set [them], and in carving of wood, to make any manner of cunning work. 34) And he hath put in his heart that he may teach, [both] he, and Aholiab, the son of Ahisamach, of the tribe of Dan. 35) Them hath he filled with wisdom of heart, to work all manner of work, of the engraver, and of the cunning workman, and of the embroiderer, in blue, and in purple, in scarlet, and in fine linen, and of the weaver, [even] of them that do any work, and of those that devise cunning work. 38) For the cloud of the LORD [was] upon the tabernacle by day, and fire was on it by night, in the sight of all the house of Israel, throughout all their journeys. 16) And to the office of Eleazar the son of Aaron the priest [pertaineth] the oil for the light, and the sweet incense, and the daily meat offering, and the anointing oil, [and] the oversight of all the tabernacle, and of all that therein [is], in the sanctuary, and in the vessels thereof. 20) That his heart be not lifted up above his brethren, and that he turn not aside from the commandment, [to] the right hand, or [to] the left: to the end that he may prolong [his] days in his kingdom, he, and his children, in the midst of Israel. 26) For these Levites, the four chief porters, were in [their] set office, and were over the chambers and treasuries of the house of God. 27) And they lodged round about the house of God, because the charge [was] upon them, and the opening thereof every morning [pertained] to them. 28) And [certain] of them had the charge of the ministering vessels, that they should bring them in and out by tale. 29) [Some] of them also [were] appointed to oversee the vessels, and all the instruments of the sanctuary, and the fine flour, and the wine, and the oil, and the frankincense, and the spices. 30) And [some] of the sons of the priests made the ointment of the spices. 31) And Mattithiah, [one] of the Levites, who [was] the firstborn of Shallum the Korahite, had the set office over the things that were made in the pans. 32) And [other] of their brethren, of the sons of the Kohathites, [were] over the shewbread, to prepare [it] every sabbath. 33) And these [are] the singers, chief of the fathers of the Levites, [who remaining] in the chambers [were] free: for they were employed in [that] work day and night. 34) These chief fathers of the Levites [were] chief throughout their generations; these dwelt at Jerusalem. 13) Also for the courses of the priests and the Levites, and for all the work of the service of the house of the LORD, and for all the vessels of service in the house of the LORD. 15) Even the weight for the candlesticks of gold, and for their lamps of gold, by weight for every candlestick, and for the lamps thereof: and for the candlesticks of silver by weight, [both] for the candlestick, and [also] for the lamps thereof, according to the use of every candlestick. 18) And for the altar of incense refined gold by weight; and gold for the pattern of the chariot of the cherubims, that spread out [their wings], and covered the ark of the covenant of the LORD. 19) All [this, said David], the LORD made me understand in writing by [his] hand upon me, [even] all the works of this pattern. 20) And David said to Solomon his son, Be strong and of good courage, and do [it]: fear not, nor be dismayed: for the LORD God, [even] my God, [will be] with thee; he will not fail thee, nor forsake thee, until thou hast finished all the work for the service of the house of the LORD. 21) And, behold, the courses of the priests and the Levites, [even they shall be with thee] for all the service of the house of God: and [there shall be] with thee for all manner of workmanship every willing skilful man, for any manner of service: also the princes and all the people [will be] wholly at thy commandment. 6) By the word of the LORD were the heavens made; and all the host of them by the breath of his mouth. 7) He gathereth the waters of the sea together as an heap: he layeth up the depth in storehouses. 8) Let all the earth fear the LORD: let all the inhabitants of the world stand in awe of him. 9) For he spake, and it was [done]; he commanded, and it stood fast. 1) And at that time shall Michael stand up, the great prince which standeth for the children of thy people: and there shall be a time of trouble, such as never was since there was a nation [even] to that same time: and at that time thy people shall be delivered, every one that shall be found written in the book. 2) And many of them that sleep in the dust of the earth shall awake, some to everlasting life, and some to shame [and] everlasting contempt. (1) And when he had called unto him his twelve disciples, he gave them power against unclean spirits, to cast them out, and to heal all manner of sickness and all manner of disease. 2) He said unto them, Have ye received the Holy Ghost since ye believed? And they said unto him, We have not so much as heard whether there be any Holy Ghost. 3) And he said unto them, Unto what then were ye baptized? And they said, Unto John’s baptism. 4) Then said Paul, John verily baptized with the baptism of repentance, saying unto the people, that they should believe on him which should come after him, that is, on Christ Jesus. 5) When they heard [this], they were baptized in the name of the Lord Jesus. 6) And when Paul had laid [his] hands upon them, the Holy Ghost came on them; and they spake with tongues, and prophesied. 7) And all the men were about twelve. 22) For we know that the whole creation groaneth and travaileth in pain together until now. 23) And not only [they], but ourselves also, which have the firstfruits of the Spirit, even we ourselves groan within ourselves, waiting for the adoption, [to wit], the redemption of our body. 24) For we are saved by hope: but hope that is seen is not hope: for what a man seeth, why doth he yet hope for? (5) Whose are the fathers, and of whom as concerning the flesh Christ came, who is over all, God blessed for ever. Amen. 13) But I would not have you to be ignorant, brethren, concerning them which are asleep, that ye sorrow not, even as others which have no hope. 14) For if we believe that Jesus died and rose again, even so them also which sleep in Jesus will God bring with him. 15) For this we say unto you by the word of the Lord, that we which are alive [and] remain unto the coming of the Lord shall not prevent them which are asleep. 17) Then we which are alive [and] remain shall be caught up together with them in the clouds, to meet the Lord in the air: and so shall we ever be with the Lord. 4) God also bearing [them] witness, both with signs and wonders, and with divers miracles, and gifts of the Holy Ghost, according to his own will? 21) For the prophecy came not in old time by the will of man: but holy men of God spake [as they were] moved by the Holy Ghost. Are We Fighting The War Barefooted? June 20, 2014 7:00 pm / 7 Comments on Are We Fighting The War Barefooted? 1. It is called the “Shoes of the Gospel of Peace” – What is the “gospel of peace”? It is the good news of Christ and His work for us that brings temporal, and eternal, peace to all mankind (Isa 9:6-7). “For there is no difference between the Jew and the Greek: for the same Lord over all is rich unto all that call upon him.For whosoever shall call upon the name of the Lord shall be saved. 3. It is a defensive piece of spiritual armour – When we minister to the Lord, we are to proclaim Christ and His work alone. Our message is not to include man’s wisdom, psychology or motivational methods…. It is to simply reveal Christ and His work to those who face such great need in their lives. By limiting our message to Christ and His work, we are being defensive against the many false gospels, teachings and carnal methods that Satan desires to be included in our ministry. Satan may try as hard as he can to corrupt the truth of the Word, but by keeping our eyes on Christ and His work alone, we will find defense against that temptation that Satan will bring before us. Look to yourselves, that we lose not those things which we have wrought, but that we receive a full reward.Whosoever transgresseth, and abideth not in the doctrine of Christ, hath not God. He that abideth in the doctrine of Christ, he hath both the Father and the Son. May we all be equipped with the genuine, scriptural “gospel of peace” as we enter into spiritual warfare. May we NEVER forget the instructions the Lord has given to us and begin ministering using the carnal methods of this fallen world in the hopes of manipulation the lost to make a false profession in Christ. Do We Possess The Righteousness of Christ? June 19, 2014 7:00 pm / 3 Comments on Do We Possess The Righteousness of Christ?